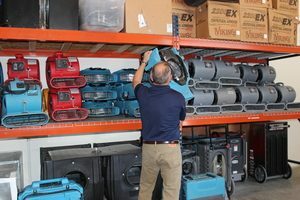 You can get immediate help handling water damage caused by a frozen pipe, sewage backup, severe storm, or pipe burst in Gilbert by calling 911 Restoration of East Valley. Our water damage restoration crews can answer your call 24/7/365. Tegchs can even reach your home or business in Gilbert within 45 minutes of an emergency call. The professionals at 911 Restoration of East Valley are also trained to handle mold remediation in Gilbert. Mold removal is often an important part of water damage restoration. Let us check out your mold decontamination needs with a mold inspection in Gilbert. Water damage can have many different causes. You may need professional help if you experience a pipe burst emergency, a sewage backup, or flooding caused by storms. Even ice dams and snow storms can require water damage restoration in Gilbert. A mold inspection can an especially important part of flood cleanup in Gilbert. Flood water can bring many contaminants into your home that can encourage fungal growth. You can focus on mold removal and mold decontamination in Gilbert to quickly address this issue. Let our mold remediation techs in Gilbert start restoring your property to better-than-new condition today. Mold can become a big problem after a pipe burst, flood, sewage backup, or blizzard. You can get help with mold removal in Gilbert by contacting 911 Restoration of East Valley immediately after you experience water damage. Our crews handle mold remediation in Gilbert as part of the flood cleanup process. You can rest easy knowing we will offer you dedicated support from the time we begin your water damage and mold inspection. 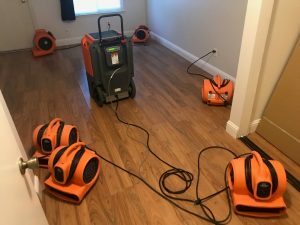 Water damage restoration and mold removal in Gilbert can return your property to the perfect condition that you deserve. Mold decontamination can remove any odors and increase the odds that you will not have to deal with another mold infestation in the future. You can return your property to better-than-new condition by contacting us today. Servicing the cities of Apache Junction, Ahwatukee, Bapchule, Blackwater, Casa Grande, Chandler, Chandler Heights, Coolidge, Eloy, El Mirage, Flagstaff, Florence, Fountain Hills, Gilbert, Higley, Laveen, Maricopa, Mesa, Paradise Valley, Peoria, Queen Creek, Sacaton, San Tan Valley, Scottsdale, Sun City, Sun City West, Sun Lakes, Superstition Springs, Sunrise, Tempe, Youngtown… and surrounding areas.